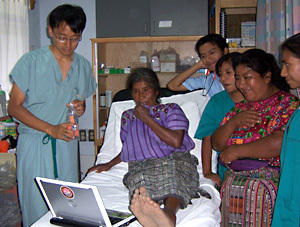 Hospitalito Atitlán’s goal of providing top-quality medical care to the people of Santiago Atitlán (regardless of their ability to pay) is often complicated by cultural barriers between doctors and patients. Prominent among these is language; many patients do not speak Spanish, and few doctors speak Tz’utujil. In addition, the biomedical model of medicine is still a relatively new introduction to Santiago Atitlán, which has a long history of traditional healers such as comadronas (midwives), hueseros (bonesetters), and curanderos (shamans). To facilitate communication of essential health information to patients, GHI produces educational videos featuring non-professional actors from Santiago Atitlán filmed in typical Atiteco home settings, with Tz’utujil and Spanish language tracks recorded by Atitecos. 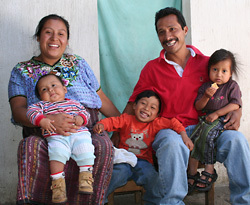 Most of our videos feature the Pablo Quiejú family and their home. Our Tz’utujil narrator is Francisco Chiyal Quiejú and our Spanish narrator is his daughter Rebeca Chiyal Lacán, a pre-medical student. 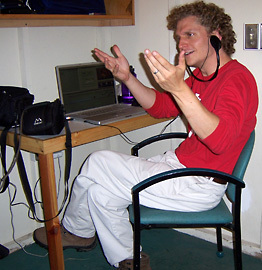 Our film director is Nathan Smith (Graduate School of Education). 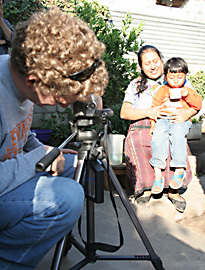 Filming takes place on the ground over spring and summer breaks in Santiago Atitlán, with the assistance of volunteers from Penn and Santiago Atitlán. Editing takes place throughout the year on the Penn campus. These videos are used at Hospitalito Atitlán and other healthcare facilities in Tz’utujil-speaking communities. 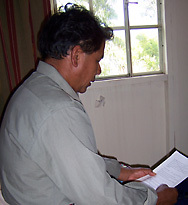 Tz’utujil is spoken by 100,000 people on the western shore of Lake Atitlán, including Santiago Atitlán, San Pedro La Laguna, San Juan La Laguna, San Pablo Laguna, Santa María Visitación, San Marcos La Laguna, and Chicacao. We also produce Kaqchikel-language versions of our videos. 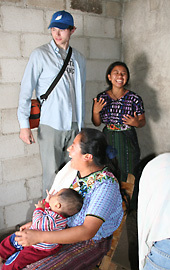 Kaqchikel is spoken by half a million people in the highlands from Lake Atitlán east to Antigua.